Designed for use with your existing Lancaster Table & Seating Spartan Series chair or barstool, this 2 1/2" burgundy padded seat slides on top of the frame for an easy assembly. The vinyl upholstered seat brings exceptional comfort, with the added benefit of durability and ease of cleaning. Plus, the burgundy color adds a classic look to your dining or bar area. By using this padded seat you won't have to waste money on buying a new chair frame when yours is still like new. 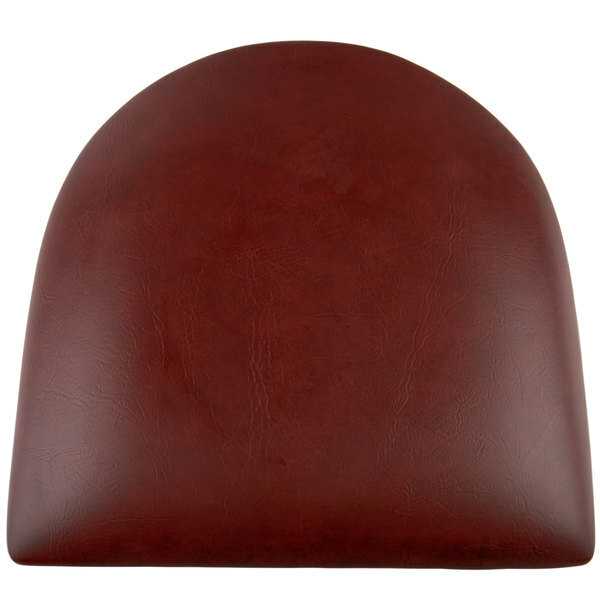 Use this 2 1/2" burgundy padded seat to replace the worn seat of an existing chair and your guests will be sure to appreciate the comfortable seating it provides.